Is Commercial space transportation reaching a tipping point? NASA’s budget during the next decade will either be flat or decline. Moreover, NASA is no longer planning on using Russian rockets to service the space station. As a result, the commercial space industry may be reaching a “tipping point” whereby the commercial space industry will need to take over the heavy lifting of supplying the space station and getting payloads into orbit. The 15th annual commercial space transportation conference, which took place on February 15-16 in Washington DC, grappled with the myriad issues associated with attracting private investment into commercial space exploration. 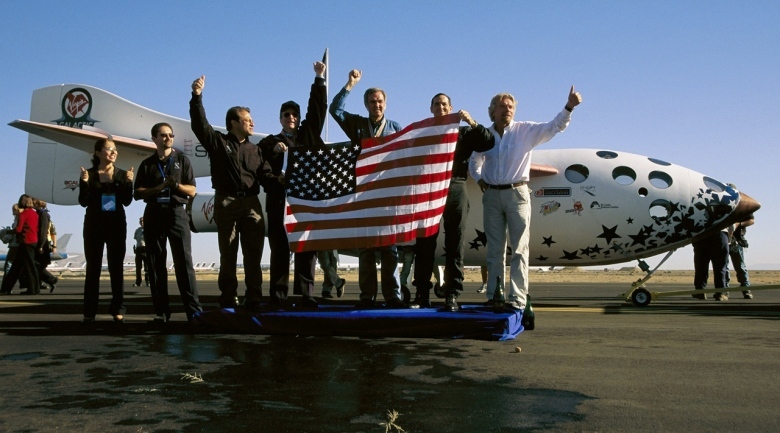 There are numerous commercial space startups, such as SpaceX, Armadillo Aerospace, Bigelow, Virgin Galactic, and Blue Origin, but most of these corporations are currently dependent on Government financing. The question now is whether new technologies or new markets alone are sufficient to jumpstart the long-term exploration of space. Although long term visions exist, such as lunar or asteroid mining, in the short term the sub-orbital tourist markets may represent the best way to develop a self-sustaining industry. A number of promising new technologies are being developed, including space solar power satellites, active orbital debris removal, and orbital propellant storage. The most surprising objective stated during the conference came from Steven Davis, the Director of Advanced Projects at SpaceX. Davis stated that SpaceX’s ultimate goal was to have fully reusable rockets, which he claimed might ultimately reduce launch costs to LEO to $10 per pound. Dr. Ajay Kothari, the President and CEO of Astrox corporation spoke about employing reusable winged rockets and planes for satellite servicing, debris removal, and orbital tourism. There is currently a debate within the aerospace community regarding whether reusable craft should contain wings or not. Armadillo aerospace and SpaceX have eschewed wings, whereas Astrox and Boeing plan to use them. The concept of space solar power also garnered attention. Unfortunately, the best current solar cells offer 30% efficiency, so removing the 70% waste heat would be problematic. Getting the huge amount of mass into orbit also presents a non-trivial challenge. Perhaps the most intriguing concept during the conference came from Jerome Pearson of Star Technology. Mr. Pearson proposed a concept for placing a propellantless, electrodynamically powered one ton motor into orbit. The motor would be able to shift its orbit to capture space debris with nets. The debris would be sent to lower orbits where they would soon re-enter the atmosphere. Pearson argued that by using such a scheme, the vast majority of large space debris could be safely removed from orbit within seven years of the launch of the motor. Pearson even claimed that high-grade aluminum structures could be sent to predetermined orbits, where the aluminum could be recycled.